NOTHING COULD BE EASIER THAN THESE QUICK DESSERTS WITH JUST 3 INGREDIENTS! If you want to get your children and grandchildren more interested in cooking,let them make dessert. Having a file of quick dessert recipes on hand makes it easy to get them involved. And with only 3 ingredients in each of these, clean up time is much faster, too. You’ll enjoy eating some of these desserts right away, while others are great gifts to give away. 8-ounce container nonfat peach yogurt frozen + 8 ½-ounce can sliced peaches in heavy syrup frozen + 1 tablespoon peach preserves. Empty yogurt and peaches into food processer by dipping them in hot water for up to one minute first to loosen. Add preserves. Break up frozen chunks with a knife to make processing easier. Process until smooth, about 1 minute. Serve immediately in 4 small wine glasses. 1 cup self-rising flour + 1 cup sugar + 15-ounce can fruit cocktail in juice. Combine all ingredients in bowl and stir until well blended. Pour into greased 8” square pan. Bake at 350 for 45 minutes. 16 ounce chocolate morsels (milk chocolate, semi-sweet or mix of both) + 8 ounces crunchy chow mein noodles + 1 cup lightly salted dry roasted peanuts, coarsely chopped. Melt chocolate morsels in microwave or double boiler. Add noodles and peanuts and stir to coat. Drop by teaspoonful onto paper-lined baking sheet. Refrigerate to set. 1 cup peanut butter + 1 cup sugar + 1 egg. Combine ingredients until blended. Drop 1” apart onto ungreased cookie sheet using teaspoon. Flatten with back of fork. Bake at 400 degrees for 8-10 minutes. 50 mini pretzel twists + 50 Rolo candies (chocolate covered caramel) + 50 pecan halves. Line cookie sheet with foil. Arrange pretzels in single layer. Top each pretzel with Rolo, small side up. Bake at 250 degrees for 4 minutes. Remove and press pecan half into the top of each. 6 cups crispy rice cereal + 4 cups mini marshmallows + 3 tablespoons butter. Melt butter with marshmallows in a large bowl in microwave. Stir in cereal until coated. Press into an even layer in a greased 13” X 15” baking pan. Let set one hour then cut into shapes using large cookie cutters. 1 apple + 1 tablespoon maple syrup + 1 tablespoon raisins. Cut a thin layer off the top of the apple and core. Fill cavity with syrup and raisins. Microwave on high power 3-5 minutes, testing with fork after 3 minutes to see if tender. 1 box instant banana cream pudding + 2 cups low fat milk + 1 medium banana. Whip pudding and milk together 3 minutes or until slightly thickened. Spoon into parfait glasses in alternate layers with banana slices. 14 ounce can sweetened condensed milk + 14 ounce bag flaked coconut + 1 tablespoon vanilla extract. Combine all ingredients in bowl and stir to combine. Line baking sheets with parchment paper then grease the paper. 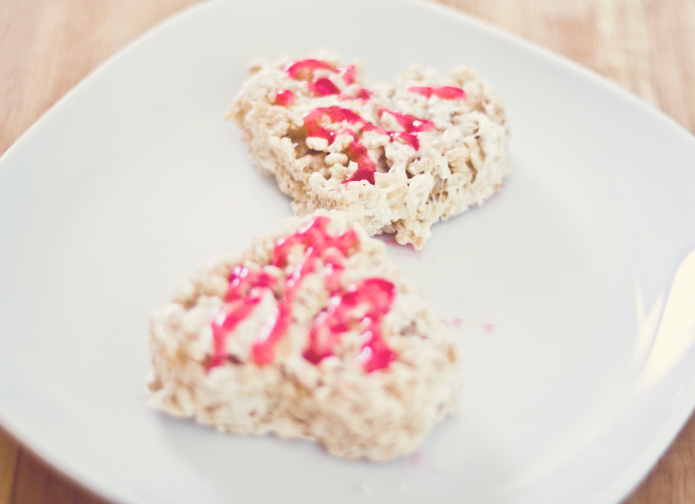 Drop macaroons by teaspoonful onto to baking sheets. Bake at 350 degrees for 8-10 minutes until lightly browned. Remove immediately onto cooling racks. Honey is one of those foods that has been around for so long we don’t think about it too much. But any food that is made exclusively by honey bees and has remained in the human diet for over 8000 years deserves our attention. After doing some research for National Honey Month I can say there are many fun facts about honey worth celebrating! But first, let me interrupt this blog for an important public service announcement. At What Age Can You Give a Child Honey? It seems many parents hear loud and clear the warning from their pediatrician not to give honey to an infant, but miss the part about when they can offer it. According to the American Academy of Pediatrics and National Association of Pediatric Nurse Practitioners, honey can be introduced into a child’s diet after their first birthday. That’s valuable information since the Food and Drug Administration recommended in 2008 that over-the-counter cough and cold medicines not be used in children under age 4 years. Honey is a good cough suppressant and has been shown to be more effective in reducing nighttime coughing than drug store cough syrups. It can also relieve a sore throat, and because of its sweet taste, can help other medicines go down. How many types of honey are there? There are more than 300 varietals of honey in the U.S. alone, each with distinct flavor profile and color based on the floral source where the bees collect the nectar. Popular varieties include alfalfa, orange blossom and clover honey. Less familiar ones are avocado, eucalyptus and sage honey. How many bee keepers are there in the US? The U.S. has an estimated 139,600-212,000 beekeepers. The majority are hobbyists with no more than 25 hives, while commercial beekeepers have 300 or more. Honey bees tap between 50-100 flowers in a single trip. At least two million flowers are needed to yield a pound of honey. How much honey does the average worker bee make in her lifetime? One worker bee makes about 1 ½ teaspoons of honey in her lifetime. Honey is produced in all 50 states. The top five producers are North Dakota, California, South Dakota, Montana, and Florida. How much honey is made in the U.S.? Honey production in the U.S. in 2011 was 148 million pounds, down 16% from 2010. How much honey do Americans consume? Americans consume approximately 1.3 pounds of honey per person annually. About 61% of the honey eaten by Americans is imported to meet demands. What other value do we get from honey bees? One third of the total human diet is derived directly or indirectly from insect-pollinated plants, including the cattle and dairy cows that feed on insect-pollinated legumes (alfalfa, clover, etc.). The U.S. Department of Agriculture estimates that 80% of insect crop pollination is accomplished by honey bees. Are any crops totally dependent on honey bees for pollination? The almond crop is entirely dependent on honey bee pollination. It takes more than one million colonies of honey pees to pollinate the California almond crop each year. Apples, avocados, blueberries, cherries, cranberries, and sunflowers are 90% dependent on honey bee pollination. The low moisture content and high acidity of honey makes it an unsuitable environment for bacteria and other micro-organisms, so it can be stored indefinitely. The appearance can change during storage and crystallization may occur over time, but this does not affect wholesomeness. Tap into some great recipes using honey here. Now that everything has been purchased and packed to send your recent high school graduate off to college, what’s left to do? For many parents and grandparents, it’s time to start worrying about the notorious freshman 15. College weight gain is a bigger concern today than ever before because so many more young people are arriving on campus overweight. Packing on five or ten pounds between now and winter break and another five or more by the time they move back home in the spring can saddle them with excess weight they may never lose. The health risks of starting adulthood overweight should not be ignored. As anyone who has tried to lose 15 pounds – and keep it off – knows, it’s not easy. 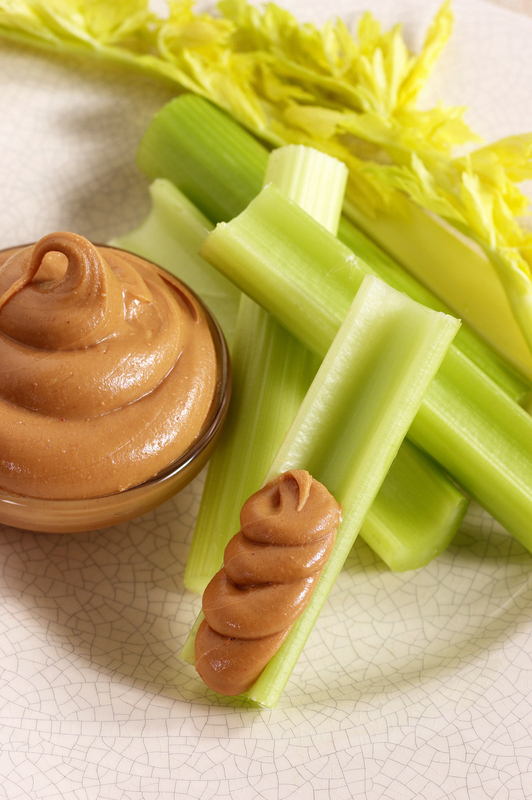 Taking steps to prevent gaining those unwanted pounds in the first place is far easier. As the author of Fighting the Freshman Fifteen, I can show you how you can help your college student do just that. What Causes College Weight Gain? Life on campus is filled with opportunities to eat, drink, and party too much. The rest of the time is often spent sleeping, sitting in classes (sometimes both at the same time) and studying. That combination of overconsumption and under activity is all it takes for some kids to gain a pound a week, which happens to add up to 15 pounds at the end of the first semester. Yes, the school has a state-of-the-art fitness center, a campus that stretches over several acres or city blocks, and round-the-clock recreational activities. But somehow all of that opportunity to burn calories is underutilized. It’s sort of like all the home exercise equipment and gym memberships that go unused. Another source of unneeded calories are those care packages that come in the mail filled with all their favorite foods. Bags of Twizzlers, boxes of Cheez-Its, and tins of homemade chocolate chip cookies arrive one day and are gone the next. Repackaging those care packages from home can eliminate the temptation, and extra pounds that go with them. Try some of these instead. And whatever you do, don’t keep reminding them of what it was like when you were in college! Easy Picnic Ideas the Whole Family Will Love! If you want to take the family on a picnic, that means you’re packing portable food that goes with fun! There’s no need to fuss when your tablecloth is on the ground. Plan a utensils-optional meal and pass the hand wipes instead. Finger food is easy to serve and even easier to clean up. And single portions and packages allow for more variety so there are fewer complaints. Shorty sandwiches – Cut wraps and hoagies into 1-inch pieces for easy handling and the chance to mix & match these smaller portions. Bird-in-hand – Prepare chicken legs and wing drummettes your favorite way and let the family enjoy eating them right off the bone. Meal-on-a-stick – Nothing is more fun to eat than kebobs! Thread them with cooked and chilled meat, poultry, shrimp and vegetables and forget about the need for forks. Untossed salad – Use a divided serving tray to pack grape tomatoes, olives, cucumber chunks, carrot coins, broccoli florets – whatever your family likes – and a couple of dips so they can be munched as desired. Stuffed stalks – Fill celery with flavored cream cheese, cheddar cheese spread or peanut butter and raisins, then cut into 2 inch pieces so easy to serve and share. Finger Fruit – Make sure no peeling, seeding or cutting is needed for the fruit you serve. Try cubed melon, plucked grapes, hulled berries, stemmed cherries, chunked pineapple, and sectioned oranges, either tossed together or packed in separate containers. One-at-a-time snacks – Pack single serving bags of crackers, pretzels, and chips so there are no leftovers to go stale once the bag is opened. A bigger assortment means there’s something to please everyone. Two-bite desserts – Cut blondies, brownies, and bar cookies cut into small wedges or bake mini muffins so there’s a chance to sample just what you like, or one of each, without over doing it. Skip anything with frosting that will smoosh and be sticky. Just enough drinks – You can provide more variety and eliminate the need for cups and refills if you chill an assortment of small drink boxes, pouches, bottles and cans. This post was originally written during my 2 1/2 year tenure as a blogger for Family Goes Strong. This site was deactivated on July 1, 2013. When children are home and school is in session, meal schedules and menus revolve around them and their taste preferences. Once they’re off to camp for the summer it’s time for adult tastes to rule the kitchen (and grill). Foods with adult flavors can be found in every aisle of the store. Here are 7 of my favorites that will definitely be on my summer food shopping list and part of my healthy summer recipes. This is the most exceptional flavor combo in the dairy case! I just love it and am so happy the “bite” size containers are just 100 calories each. I can have one as a midmorning snack then enjoy another for a satisfying, thick and creamy dessert at night. 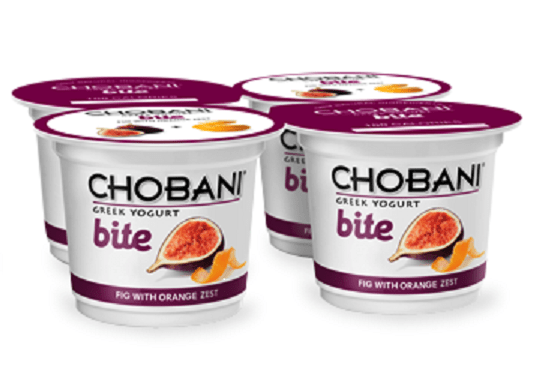 The Chobani Blood Orange Non-fat Greek Yogurt takes second place for best grown up food flavor of the year. There are other brands of chicken sausage out there, but Wegman’s Organic Wild Mushroom & Herb does it best for me. 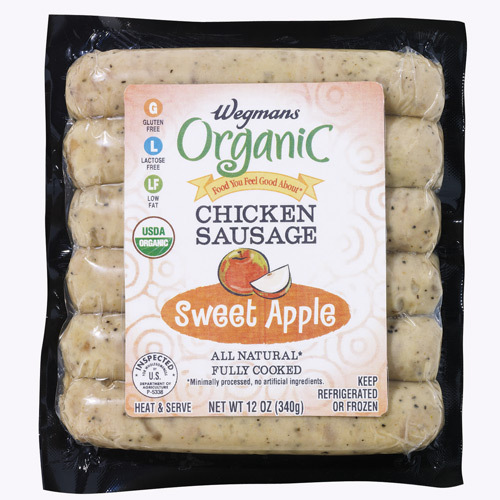 If you don’t have a Wegman’s in your neighborhood, you can try the Al Fresco or Dietz & Watson chicken sausage, but it’s hard to find a comparable product to the Wegman’s regular or organic line. Just grill with vegetables or cut them up to top a summer salad. I fell in love with the Campbell’s line of Go soups in pouches over the winter and am not about to give them up as the temperatures rise. 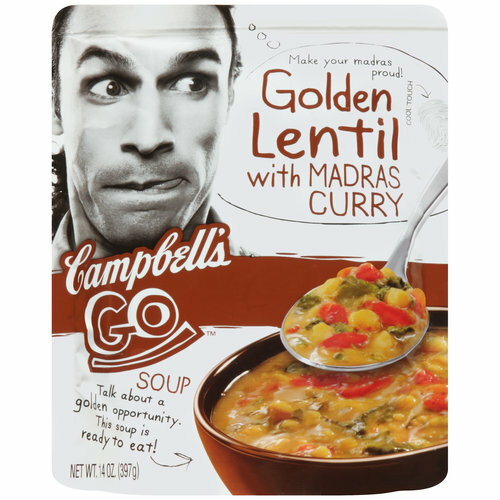 Each variety is authentically seasoned and the pouches maintain the texture of the vegetables, chicken and lentils like no other prepared soup I’ve ever tasted. Just turn down the A/C and give them a try. There are so many crackers on the shelves it’s hard to imagine there could be anything new worth trying. But there is. 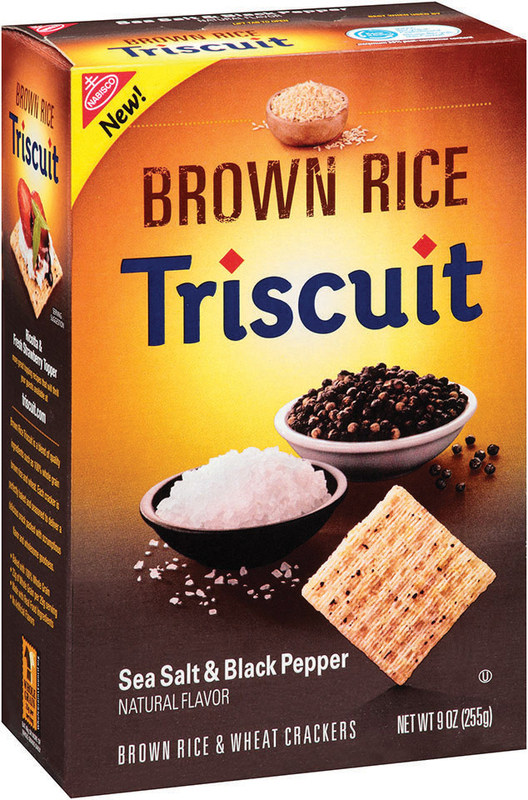 Nabisco’s new line of Triscuits made with brown rice are lighter and crisper and come in five flavors that weren’t developed with toddlers in mind. I’ve become a big fan of bean and veggie burgers because they deliver such big taste in so few calories and with a lot less fat than straight-up meat patties. The flavor profiles go from the Southwest to Asia and the Mediterranean, so just add the complementary condiments for a burger that won’t bore you. 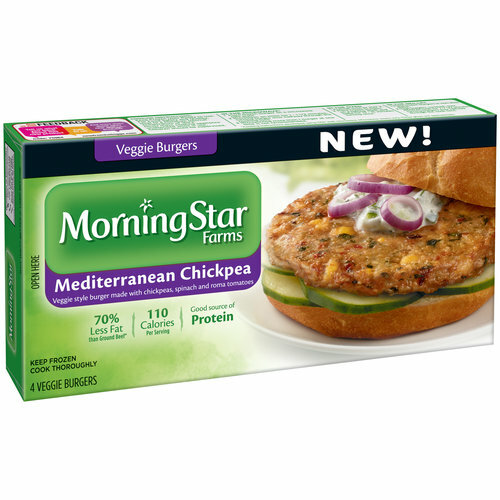 And if you’re as wild about mushrooms as I am, don’t overlook the Morningstar Farms Mushroom Lover’s Burger. I’m not a fan of plain water so run the risk of not drinking enough in the summer months when hydration requirements are highest. 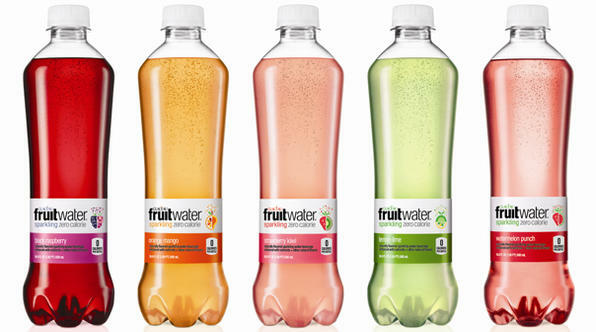 Now I don’t have to worry because I love these great-tasting, naturally fruit flavored, zero calorie sparkling water beverages from Glaceau. They’re available in 5 flavors that refresh without drowning your palate in artificial flavors like so many kids’ drinks do. I’ve found the perfect frozen novelty that tastes like ice cream but isn’t. They’re banana slices dipped in dark chocolate. 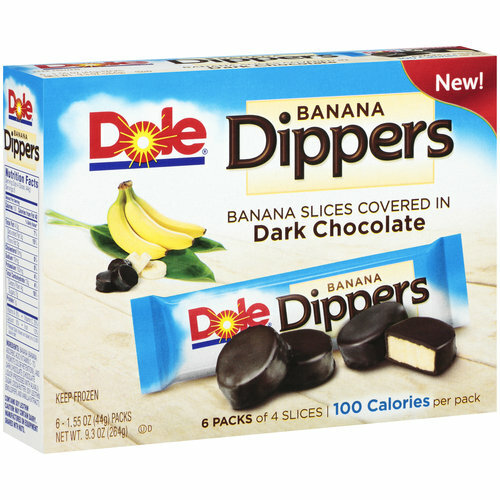 Each sleeve has 4 slices with only 25 calories each, but it feels like so much more as the dark chocolate slowly melts in your mouth and combines with the soft, sweet banana. The kids won’t know what they’re missing! I grew up in a household with very a clear division of labor when it came to the household chores done by my parents. My mother did everything inside of the house and my father did everything outside. The kitchen and all of the food that passed through it was my mother’s domain. If my dad was home when my mom returned from the grocery store he would help carry the bags from the trunk of the car into the kitchen, but that’s as close as he ever came to putting a meal on the table. I never saw him cook anything. On a few occasions I believe he made himself a sandwich. Then after 52 years of marriage and eating the three meals a day my mother prepared for him, she died suddenly. How was my dad ever going to able to fend for himself in the kitchen? If this sounds familiar, or possible, in your world, I’ve got a great Father’s Day gift idea for you. Teach your dad (husband, boyfriend, son) to cook. In fact, everyone you care about should learn to cook. Here’s how I taught my dad to cook. My dad’s cooking lessons did not begin with a cutting board and knife. They began with a pad and pencil. Once we completed the inventory, we were able to plan a menu for the coming week using simple recipes I found online. (My mother’s cookbooks and recipe card index were no help.) As we reviewed each recipe I showed him what pot or pan they called for and any small appliances mentioned. We then made a shopping list of what was needed to execute the week’s menu. Navigating the grocery store was the next lesson in my dad’s training program. Unlike the chefs in those well-stocked kitchens on the cooking shows he loved to watch, if he wanted to learn to cook he had to buy the food. It definitely helped to have the shopping list arranged according to the store layout and cross off things as they went into the cart. Learning how to properly store all the groceries when we got them home was an equally important lesson. All this happened before he actually prepared anything he could eat. One of the skills my dad had going for him when his cooking lessons began was that he could carve a roasted turkey. I decided to build on his knife skills and teach him to cut, chop, slice and dice a variety of vegetables. Once he could do that, it was a natural progression for him to learn how to sauté those vegetables. Sautéing vegetables led to sautéing meats, which led to making finishing sauces in the pan. He could now make pork chops smothered in onions, skillet chili and a chicken and broccoli stir-fry. The skills we focused on after that were ones that allowed him to make the foods he liked best. Since he enjoyed stews, he learned to use the slow-cooker. He also liked pancakes, so learned to measure and mix the batter (but not over mix) and use the electric griddle. And since he didn’t like pasta, he didn’t need instructions for the colander. Those of us who grew up living with or near our grandparents have formed an opinion about what it means to grow old. Good or bad, we saw it, smelled it, heard it, touched it and felt it. The aging process, for us, is based on what was imprinted on our impressionable young minds. For everyone else, it has been created by culturally constructed stereotypes. Neither view is necessarily correct. There are many signs of aging in America. More than 13% of the people who were counted in the 2010 U.S. Census were over the age of 65. It is projected that by 2056 more people in the country will be over 65 than under 18. That’s evidence enough that we need to rethink what it means to be old. The image of aging I took away from my childhood is based on the contrasts between my two grandmothers, with neither one a source of inspiration. Both did their aging at home, right to the very end. One grandmother was very soft and meek; the other was hard and stern. One needed to be taken care of from the moment my grandfather died until she died 16 years later. The other lived on her own for 28 years after her husband died, and she repelled anyone who tried to help her. Since May is when we celebrate Older Americans Month, I find myself wondering what kind of impression I’m making on my grandchildren about aging. I certainly don’t want to be defined by inaccurate stereotypes. But since we Baby Boomers have never been conformists, I’m prepared to keep the revolution going a while longer as we drive our VW Minivans into the sunset! I’ve always had a good diet so can continue to eat this way the rest of my life – Having had a good diet pays off by reducing our risk for diet-related diseases, but that doesn’t mean there isn’t room for improvement as we get older. Our nutritional needs continue to change throughout life, from childhood to adolescence to adulthood and beyond, and one diet doesn’t fit all. As we get older our ability to fully digest what we eat and absorb the nutrients our meals provide also impacts the quality of our diets. Plus, many medications and diseases can interfere with our appetite and ability to stay properly nourished. There’s no point in making lifestyle changes now – Any time we make an investment in our own health we can be rewarded with an improved sense of well-being, even if we can’t reverse the damage done by lifelong bad habits. Some changes, however, can reap measureable benefits, like quitting smoking, exercising more and including more fiber in our diets. I can’t learn anything new at my age – The ability to learn new things never stops. What changes is the speed at which we grasp new ideas and technology, but our capacity to embrace new information continues throughout our lives. We need look no further for evidence of this than at the 40% of people over the age of 65 who use the Internet. I’m forgetful, it must be dementia – Memory loss can be caused my many things, such as poorly controlled medical conditions, side effects of medications and untreated depression, so rule out these possibilities before jumping to conclusions. Forgetfulness is a sign of dementia, but only 6%-8% of people over age 65 have dementia and only a third of those over age 85. Depression should not be viewed as a normal part of growing old, so if the symptoms are present, treatment should be sought. I’ve been alone for so long, I’m used to it – Our basic human needs for love, companionship, and social interaction do not change as we get older. Fear of being a burden or losing one’s independence can lead to isolation and loneliness, but these conditions are not easy to accept at any age. Everyone my age has the same problems – The truth is our physical and psychological needs grow more unique as we age, not more similar. The longer we live the longer our individual genetic make-up, environmental and lifestyle influences and personal medical conditions have had a chance to differentiate us from other people our same age. It is more important than ever to treat the person, not the age. What myths about aging are you ready to bust? The next two weeks are the most difficult time of year for college students. The end-of-semester demands they face are unrealistic and can lead to unbearable pressure. How our children cope with stress in college can have a devastating impact on both their physical and emotional health. For those of us who can say “been there, done that,” it is not a rite of passage we would wish on anyone — especially our own children. An estimated 15 percent of the 20 million young people attending college in the U.S. are diagnosed with depression. Those who do not have a clinical diagnosis of depression still experience stress and may suffer in silence or resort to inappropriate behavior. The biggest risk is the threat of suicide. Here is just a partial list of what college students face this time of year. When forced to try to deal with it all, students may “self-medicate” as the pressure builds. The American Psychological Association provides an online tool to test your knowledge about stress. Telling your child about it may be a good way to help him or her recognize what is happening and encourage them to take advantage of campus support services. Unfortunately, stress doesn’t end after graduation. Learning how to cope with it while in college is a life skill that will pay off for your child no matter what career he or she pursues. And for your high school graduate who may be starting college in the fall, check out my Tips to Prevent College Weight Gain adapted from my book, Fighting the Freshman Fifteen.